Edward Snowden, a former CIA technical worker, has been identified by the UK’s Guardian newspaper as the source of leaks about US surveillance programmes. Edward Snowden, 29, is described by the Guardian as an ex-CIA technical assistant, currently employed by defense contractor Booz Allen Hamilton. The Guardian said his identity was being revealed at his own request. The recent revelations are that US agencies gathered millions of phone records and monitored internet data. The Guardian quotes Edward Snowden as saying he flew to Hong Kong on May 20, where he holed himself up in a hotel. 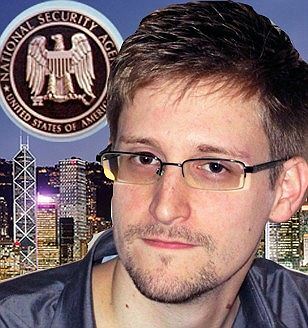 Edward Snowden said he had gone to Hong Kong because of its “strong tradition of free speech”. The first of the leaks came out on Wednesday night, when the Guardian reported a US secret court had ordered phone company Verizon to hand over to the National Security Agency (NSA) millions of records on telephone call “metadata”. The metadata include the numbers of both phones on a call, its duration, time, date and location (for mobiles, determined by which mobile signal towers relayed the call or text). That report was followed by revelations in both the Washington Post and Guardian that the NSA tapped directly into the servers of nine internet firms including Facebook, Google, Microsoft and Yahoo to track online communication in a programme known as PRISM. All the internet companies deny giving the US government access to their servers. PRISM is said to give the NSA and FBI access to emails, web chats and other communications directly from the servers of major US internet companies. The data are used to track foreign nationals suspected of terrorism or spying. The NSA is also collecting the telephone records of American customers, but not recording the content of their calls. On Saturday, US director of national intelligence James Clapper called the leaks “literally gut-wrenching”. “I hope we’re able to track down whoever’s doing this, because it is extremely damaging to, and it affects the safety and security of this country,” he told NBC News on Saturday. PRISM was reportedly established in 2007 in order to provide in-depth surveillance on live communications and stored information on foreigners overseas. The NSA has filed a criminal report with the US Justice Department over the leaks. The content of phone conversations – what people say to each other when they are on the phone – is protected by the Fourth Amendment to the US Constitution, which forbids unreasonable searches. However, information shared with a third party, such as phone companies, is not out of bounds. That means that data about phone calls – such as their timing and duration – can be scooped up by government officials. James Clapper’s office issued a statement on Saturday, saying all the information gathered under PRISM was obtained with the approval of the secret Foreign Intelligence Surveillance Act Court (FISA). Prism was authorized under changes to US surveillance laws passed under President George Bush and renewed last year under Barack Obama. On Friday, Barack Obama defended the surveillance programmes as a “modest encroachment” on privacy, necessary to protect the US from terrorist attacks. “Nobody is listening to your telephone calls. That’s not what this program is about,” he said, emphasizing that the programmes were authorized by Congress. Why did Night Stalker Richard Ramirez's skin turn green before his death?